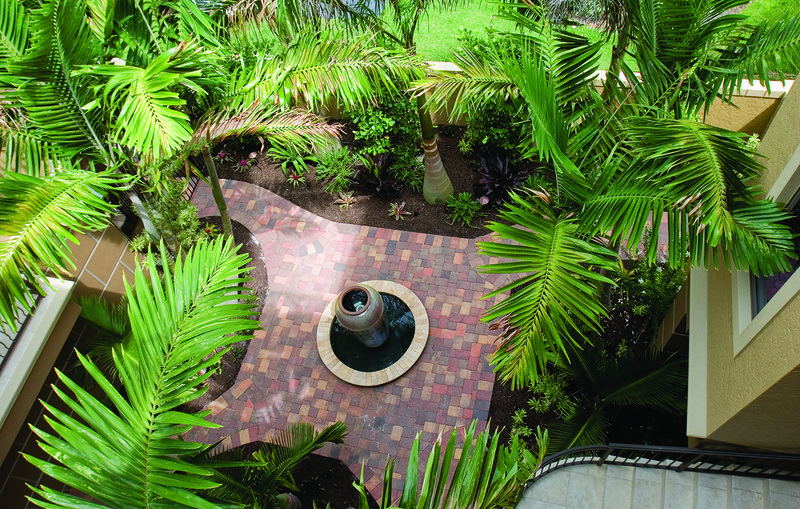 The outdoor design process from start to finish with great ideas for inspiration to your own outdoor design by award winning exterior designer Lucas Congdon, President of Lucas Lagoons in Sarasota, Florida. This video includes images of the major steps in a swimming pool remodel construction project from start to finish in Osprey, Florida. 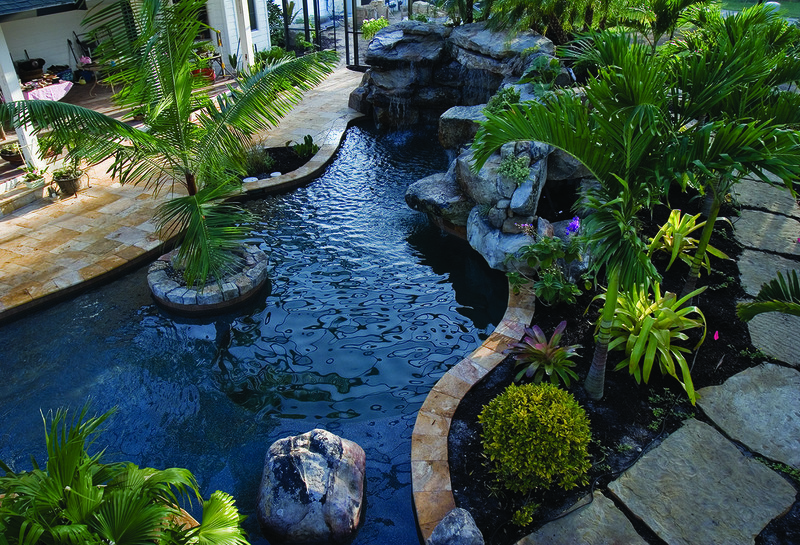 This project is a swimming pool remodel with a natural stone waterfall stream that flows into the pool. 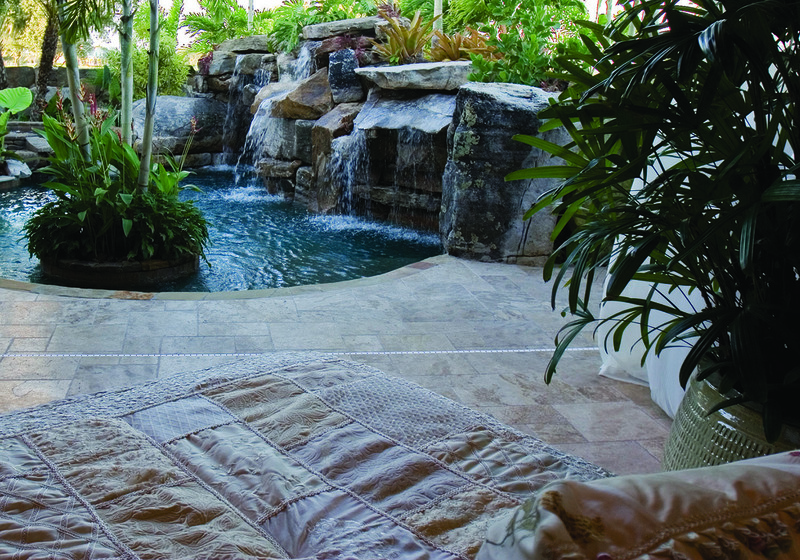 This swimming pool remodel is unique because it was a rectangular pool with sharp edges transformed into a swimming pool with curves and a spa addition with its own natural stone waterfall in Osprey, Florida. 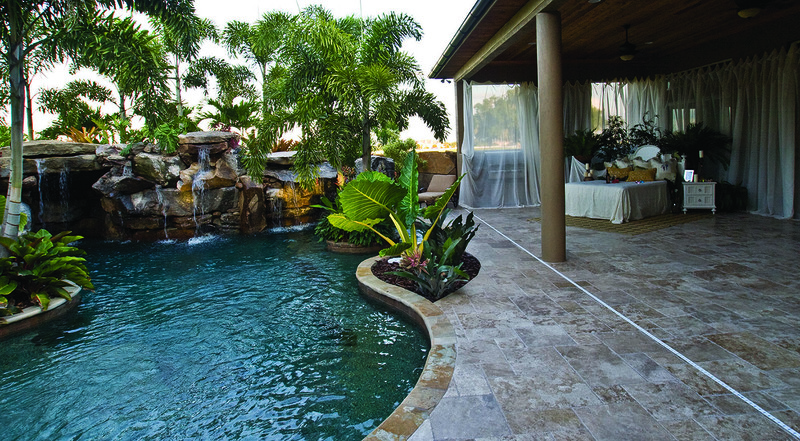 This “Start to Finish for an Extreme Remodel of a Swimming Pool with Natural Stone Waterfalls in Osprey, FL” video is part of a Video Series about the progress of our swimming pool construction on this pool remodel with spa addition. Start by sketching a layout of the house and existing landscape that will remain and then build your design from there. Make a list of different areas and activities that you would like the space to provide for. Whether your space is large or small, think about how one area will transition into the next keeping flow with the design and avoiding dead spaces. 1) When you close your eyes and imagine your ideal getaway, where do you go? 2) What does that place look like? 3) Where would you live if it could be anywhere? 4) Would this place be casual, say on a sandy beach with coconut palms, or a luxurious penthouse with beautiful music? 5) What style or feeling do you want the landscape to invoke? 6) Do you want the landscape to show off the house and accentuate the architecture of the home? Or, do you want it to create privacy and more outdoor living? 7) Entering this space, what do you see? What kind of features welcome you? 8) What necessities are required? Lighting, fencing, parking, storage, seating, mailbox, water meters, irrigation etc? 9) Is this a full time or vacation home? 10) How much maintenance will you be able to handle? Will someone else maintain it? 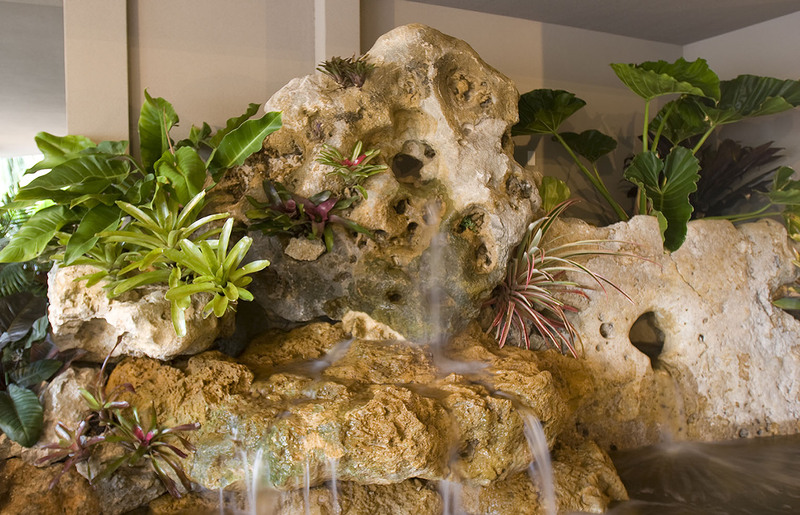 11) Do you want water features? What size? Rushing water or calm? 12) Do you want lighting? Extravagant and colorful? Or simple? 13) Do you need parking or storage areas? 14) Do you want space for entertaining or a play area for the kids? 15) What is the overall budget and how can this be broken up into stages if needed? Having a large area under a roof with open walls makes the space usable with or without perfect weather and creates a beautiful transition from inside to out. 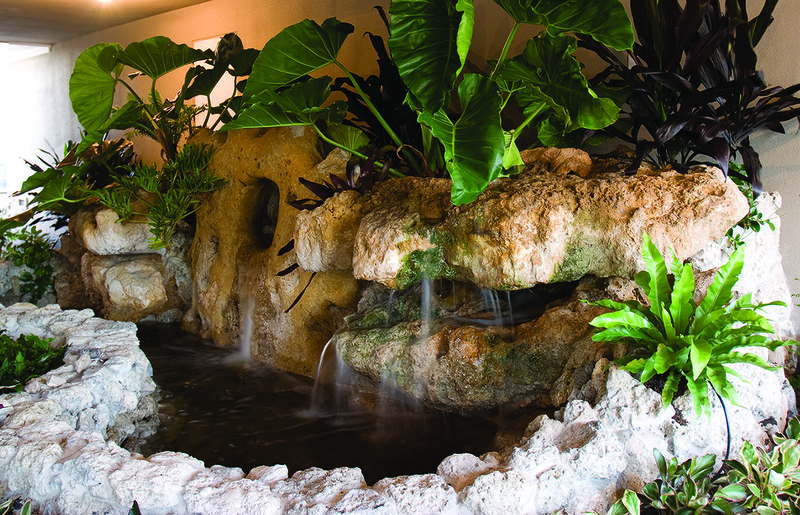 The pool includes a large grotto waterfall with a seating area inside the grotto equipped with jets for the ultimate relaxation. 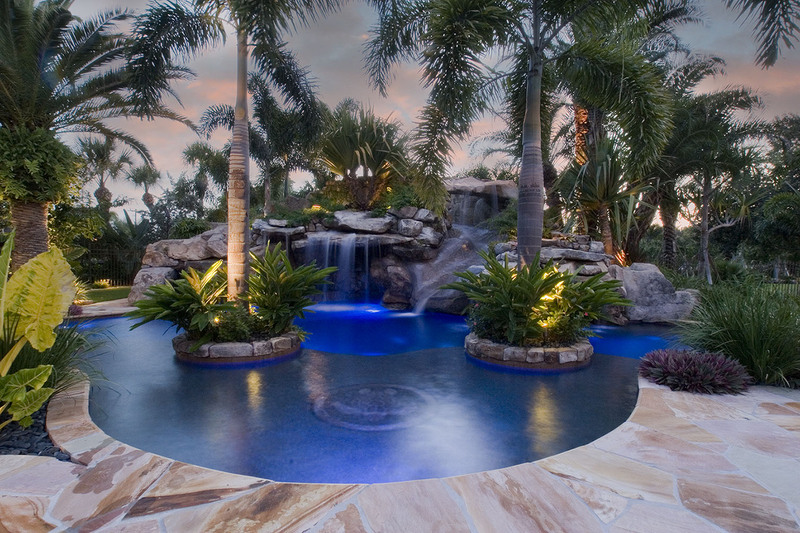 A planter with a palm was set inside the pool creating an island effect alongside a large boulder. The boulder offset the flow of the stream flowing from the hot tub to the pool area. A large flat stone was used as a bridge over the stream. 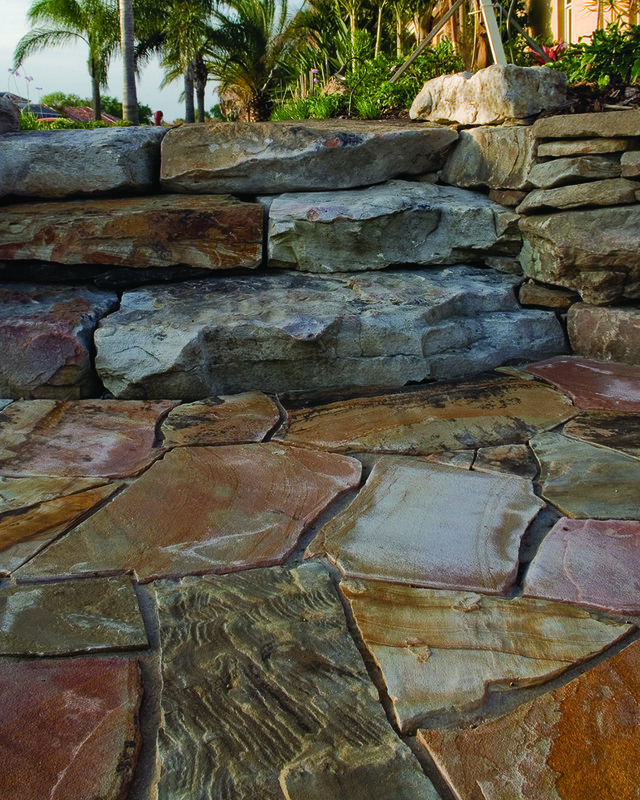 Large flagstone steps led through the garden and around the back of the waterfall. 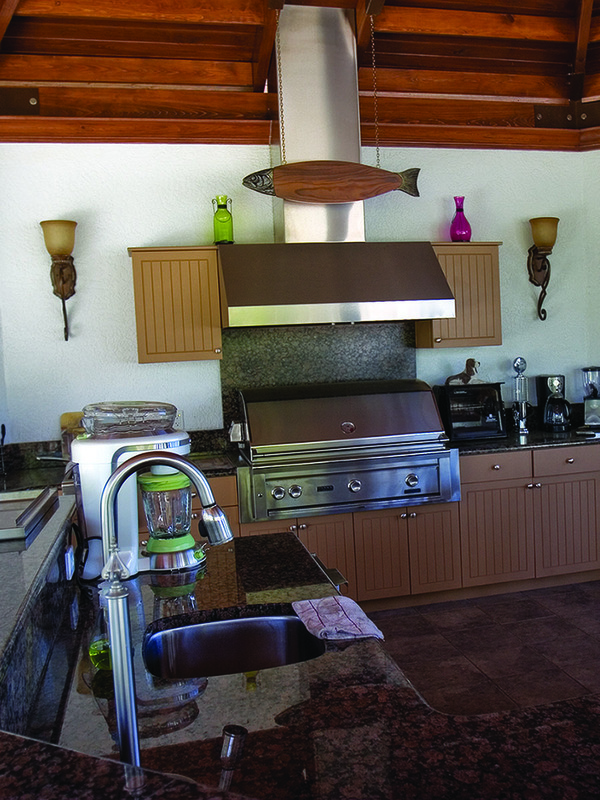 The outdoor kitchen with full amenities complements the design. Arriving at Your Final Destination! The front yard gave curb appeal and sparked an interest to see more. The side yard maintained that interest as it led to the back. Upon reaching the back the result you were looking for is achieved. Wow! Let’s stop here and never leave. It feels like the ultimate getaway, truly relaxing and inspiring. This rejuvenating experience is better than any resort because there is no traveling and everything is custom tailored to your specific taste and needs. 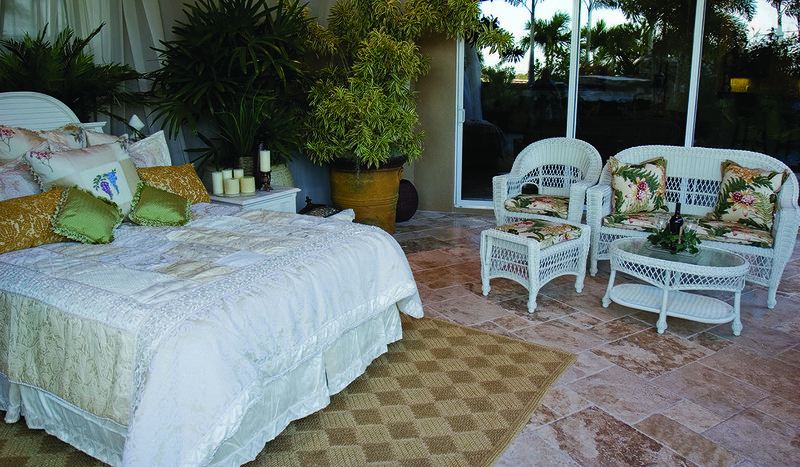 Daily relaxation, a place to wash the stress away and to appreciate all that is great in our lives. Yes, you are Home! 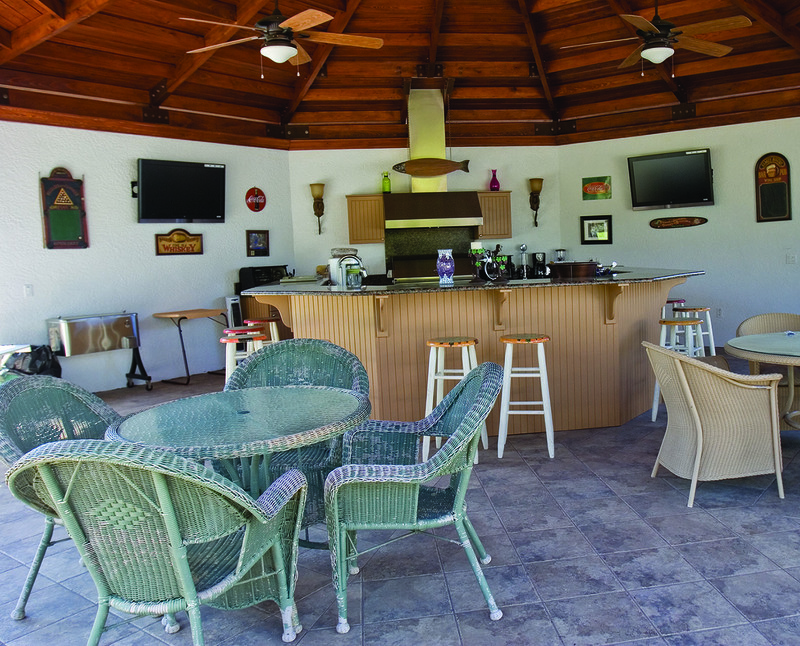 The backyard is a continuation of themes and materials used throughout the rest of the property, plus its own unique additions bringing your indoor living and outdoor landscape together. No matter how big or small the space; let the design flow and feel open. Think of the yard as an extension of the home and not a separate area. The design should complement the architecture of the house and not look like an afterthought. Personalities of the individuals and interior design of the homes play major part in design concepts. Whatever design style best suites you, the basic principals are the same. Boulders were used as steps to lead you into the side yard. 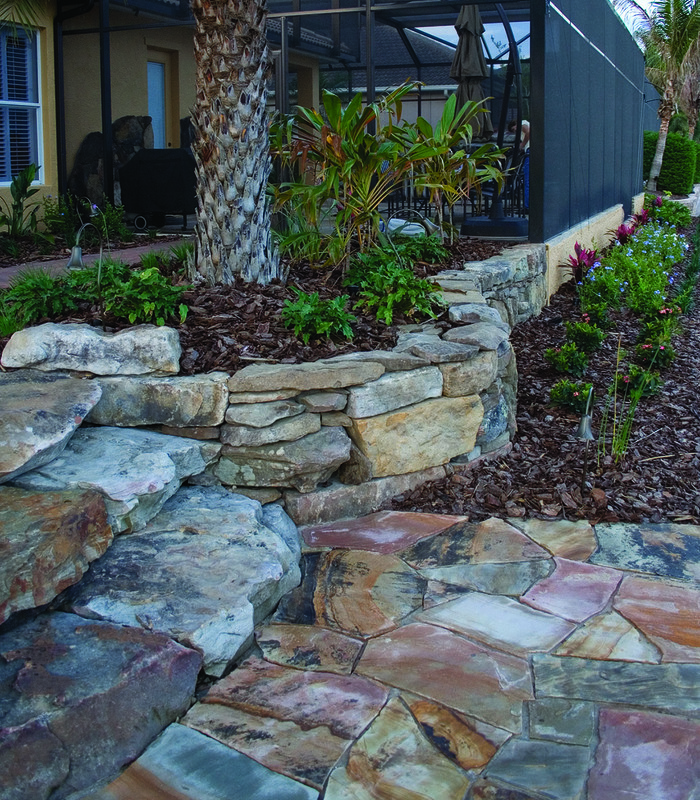 Rock walls created planters along the path that included flagstone. 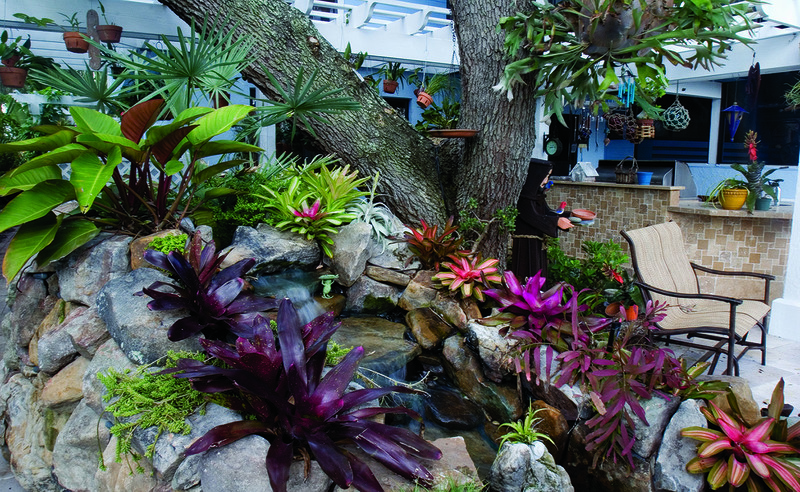 At this property, their side yard made the perfect space to create an area for an arbor to hang orchids. The path to the backyard brings you through this arbor, making the journey quite enjoyable. 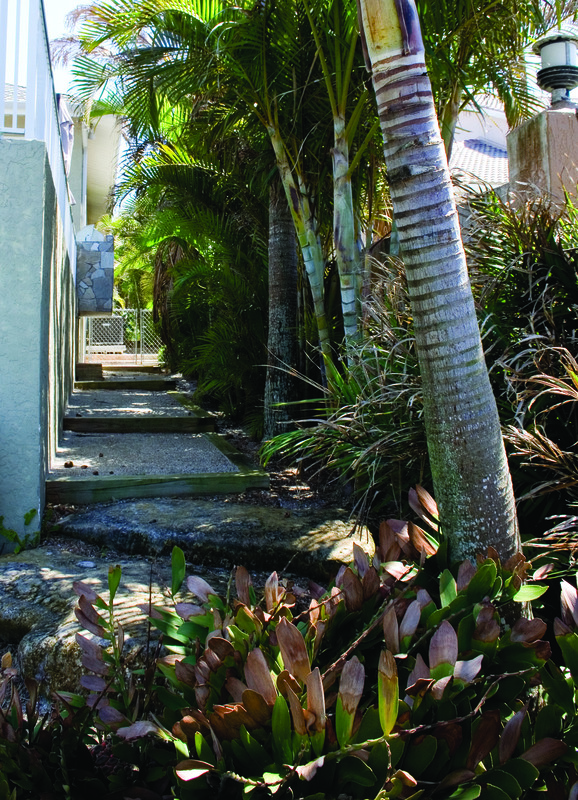 This property had a very narrow side yard that had problems with erosion and privacy. Using timbers, we terraced the slope, making steps which slowed the water down and made walking down the side easy. 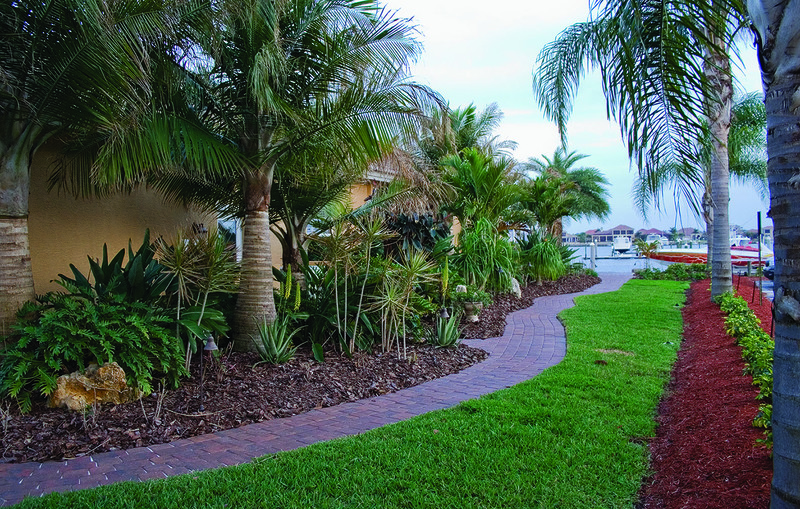 Areca and Adonidia palms were planted along the property wall for privacy and to soften the hard concrete. 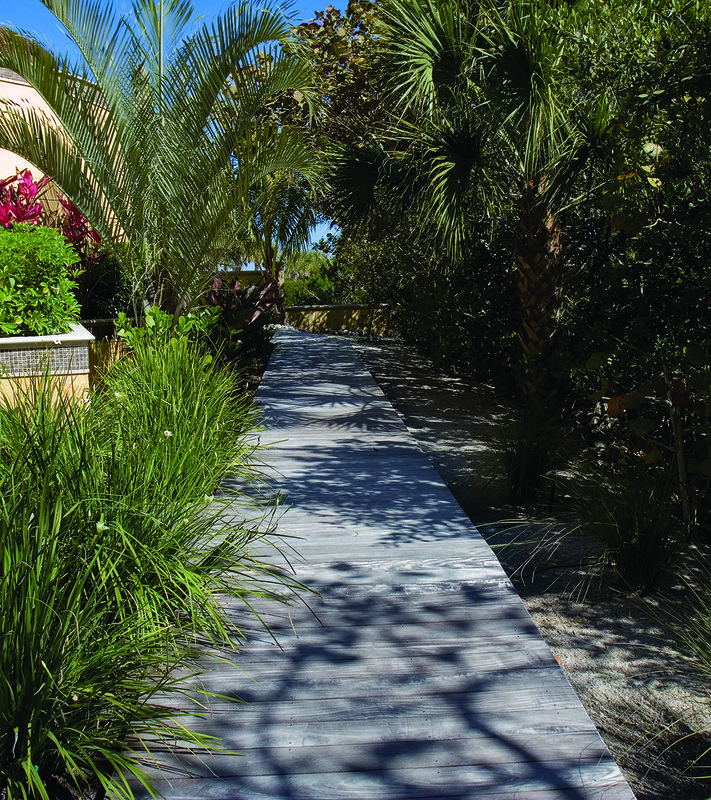 This property also had a narrow side yard that we set a wooden bridge path to walk through the garden canopy area. 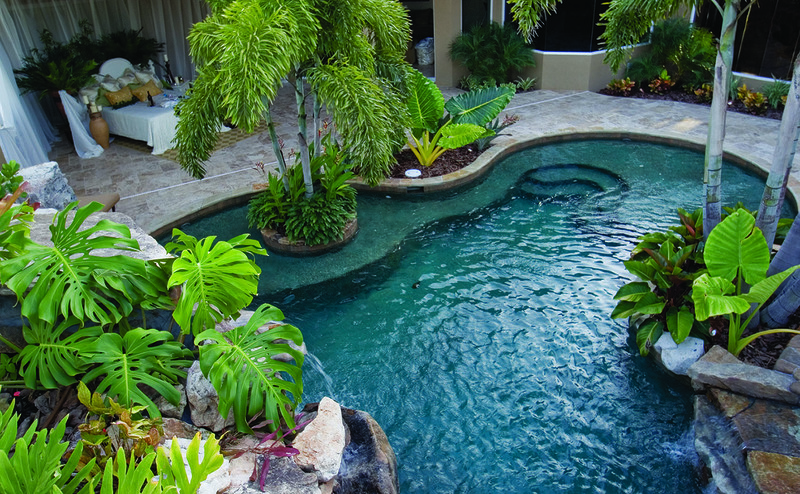 At this property, the “side yard” was under the house and opened to the back pool area. 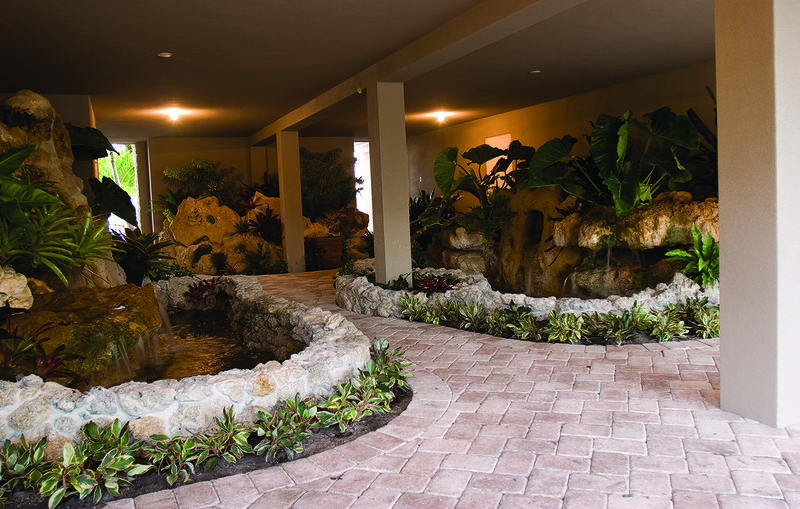 We utilized this area to create multiple water features and a meandering path that led to the back yard. Depending on the property, the side yard can have plenty of space for all sorts of features or may just be wide enough to get to the back. At this property, the side yard had an opening where the architecture of the house left an opportunity to create a courtyard feel. By using tall slender Montgomery palms, when stepping out upon the balconies overhead, the whole area felt more like an atrium and helped layer the tall walls of the house down to the central water feature below. When there is any opportunity to create micro destinations on the way to the major exterior features, it brings flow to the entire design, eliminating dead areas. At this property, their side yard was a perfect place for a winding path that leads you along to the back yard where their water feature awaits, making the journey quite enjoyable.